If you are a cost-conscious buyer and looking for cheaper properties for investment or for personal use, foreclosed properties are your best option. These properties are pre-owned and of course, sold by the bank below their actual market value! Aside from the bank, there are other institutions also that offers foreclosed properties for sale through public auction just like the Pag-IBIG Fund. The following are the compilation of Pag-IBIG foreclosed properties ups for public auction this month of July 2018! Be patients viewing the list especially in every PDF file because there are more than 2,000 properties available. Note: Jbsolis.com is not affiliated with Pag-IBIG Fund and this post is not a sponsored. All information below is for general purpose only. 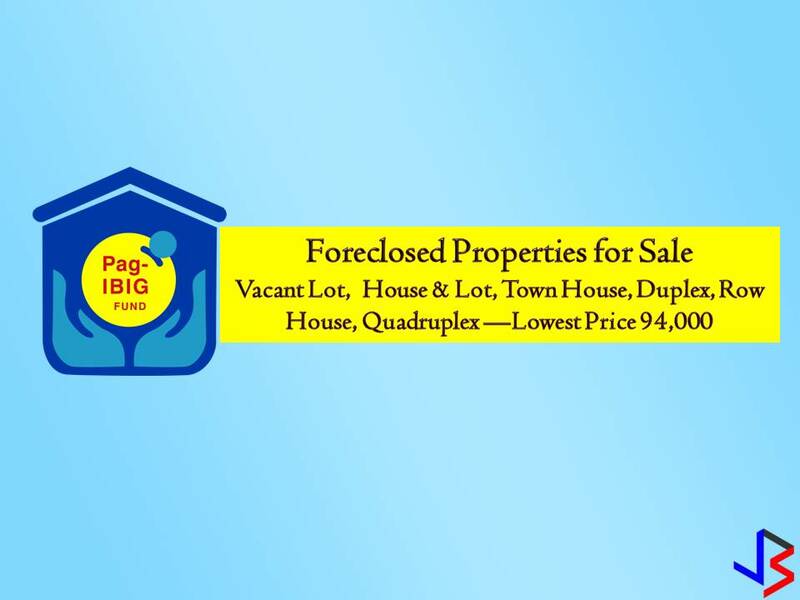 If you are interested in any of these properties, contact directly with the Pag-IBIG Fund's branches in your area or in contact info listed in this post. Any transaction you entered towards the bank or any of its broker is at your own risk and account.